Designing the office space can be one of the most interesting tasks given to an individual or an ad-hoc group in the office. While there are many companies who can afford to pay interior designers, not all small to medium-sized businesses can do. One of the starting and most visible elements in an office space would be the flooring. Be it a fully-carpeted work area or terrazzo marble customized with the company’s logo, the individual deciding on this matter should use some guidelines as to what would be the best flooring for an office space. Offices can have several departments with several functions. It is important to have clarity as to the function of the department that will use the space. If the department requires a lot of focus where people are usually seated on their chairs without much mobility (e.g. Finance department), it may be best to have a light and bright ambiance. Having light colored and plain carpets could be good but the maintenance may be a challenge. Terrazzo can be another best option since one can customize the colors without looking too plain. Otherwise, for high foot traffic spaces, it is best to stick with flooring that is generally non-slip and easy to maintain — like plain, smoothly finished concrete. Dividing the space means maximizing different flooring options for the different areas of the office. Terrazzo marble can be used at the lobby or reception to bring out an elegant and welcoming vibe to the space. Terrazzo tiles can also be used in the pantry or cafeteria as this is easy to maintain and clean. Carpets can be used for meeting rooms and work areas. While it may seem costly to use several flooring materials for a single office space, this investment should be considered as this does have an effect in the general moods and attitudes of workers towards their tasks throughout the day. Separating the cafeteria or pantry from the workstations can give a feeling of relaxation or “break” from work, if done correctly. A common roadblock for office design is choosing (and buying in bulk) office furniture pieces that compliment the flooring. There’s an “ahah” moment when those designing the space later on realize that they should’ve considered planning the furniture during the design phase too, and not just look for furniture AFTER the construction has been done. If one gets to the buying of furniture much later and finds trouble selecting the best pieces, the most basic rule is to start simple. Buying the most extravagant ergonomic swivel chairs which suddenly does not “properly” roll on carpeted floors will be a painful and expensive mistake. Ideally, buy the simple pieces first and identify if it matches and FUNCTIONS WELL with the flooring. 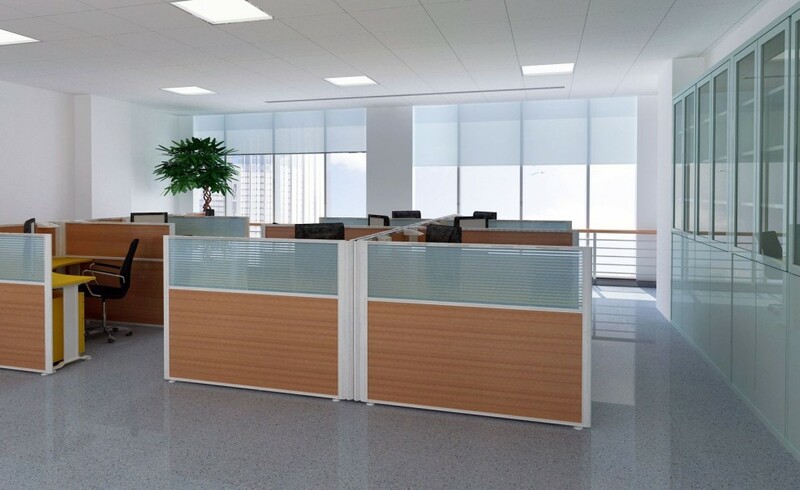 There are other ways to maximize different flooring materials for different office space requirements. It would be best to consult the Terrazzo Marble experts to recommend the best types for your flooring needs.